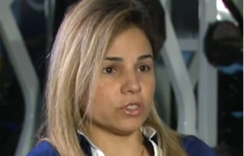 MLB sent a crew of five umpires, which includes an onsite replay review umpire, to Tokyo, Japan for the 2019 Opening Series between the Seattle Mariners and Oakland Athletics. 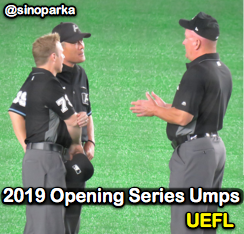 The crew joined several Nippon Professional Baseball (NPB) umpires to officiate the teams' pre-season exhibition games against the Japanese Nippon Fighters and Yomiuri Giants, while the two regular season MLB games will feature a full cadre of MLBU staff officials. As was the case with the 2014 Dodgers-Diamondbacks Opening Series in Sydney, Australia, the 2019 Japan Opening Series crew is not a full crew for the 2019 regular season. As was the case with the 2018 Dodgers-Padres Mexico Series in Monterrey, the five-umpire crew includes one Replay Official position. Jeff Nelson (crew chief): As crew chief, Nelson will have plate duties for Game One of the series. Bill Welke (backup chief): As the number-two on the crew, Welke will work Game Two's plate. 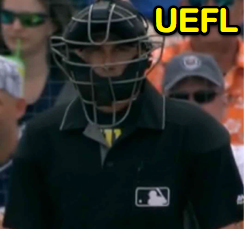 Lance Barksdale: Lance is Ump 3, and will have base assignments for both contests. Tripp Gibson & Mike Muchlinski: These two Washington state umpires will take the final field slots. Shoji Arisumi (crew chief): Former pitcher ('90-91). Officiated 2014 MLB-Japan All-Star Series. Shinji Hashimoto: Officiated the 2017 NPB All-Star Game and 2018 Arizona Fall League. Hideshi Honda: Officiated the 2015 Baseball World Cup and third Nippon Series in 2016. Tomoya Ishiyama: Officiated the 2018 Nippon Series (Japan Series). Kota Kawaguchi: Officiated his fifth Japan Series in 2016. 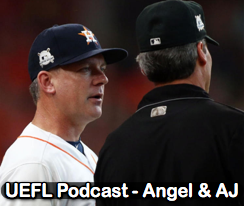 After Angel Hernandez's high profile Spring Training ejection of Astros Manager AJ Hinch, we put together a Plate Meeting podcast episode to discuss yet another instance of umpire abuse and MLB's decision to suspend the offender for one Spring game. 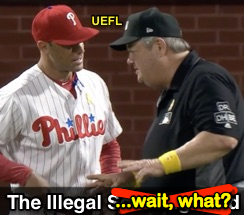 Tmac serves as Gil's featured guest as we discuss baseball's tacit Open Season on Umpires approach to discipline (or lack thereof) in recent times and a possible motivation behind the lax punishment strategy. 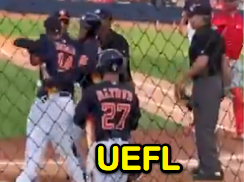 An audio Teachable Moment revisits the ejection sequence and considers the different approaches to post-ejection situation handling at the Major League versus NCAA or lower levels. 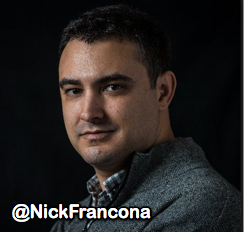 Click the below play (▶) button to listen to "Episode 11 - Angel Hernandez, AJ Hinch, and Umpire Futures" or visit the show online at https://anchor.fm/the-plate-meeting. The Plate Meeting is also available on iTunes (Apple Podcasts), Google, Spotify, Stitcher, TuneIn, and several other podcast apps. 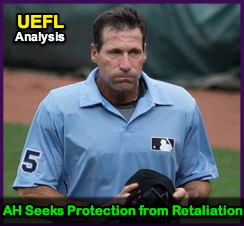 Related Post & Video: MLB Ejection S-1 - Angel Hernandez (1; AJ Hinch) (3/15/19). 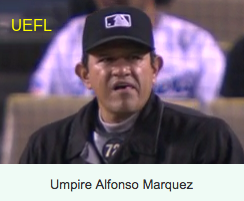 Related Label: Angel Hernandez (UEFL History).